Tumbled stones - price is per stone, quantities may be changed at checkout. Weight is approximate. 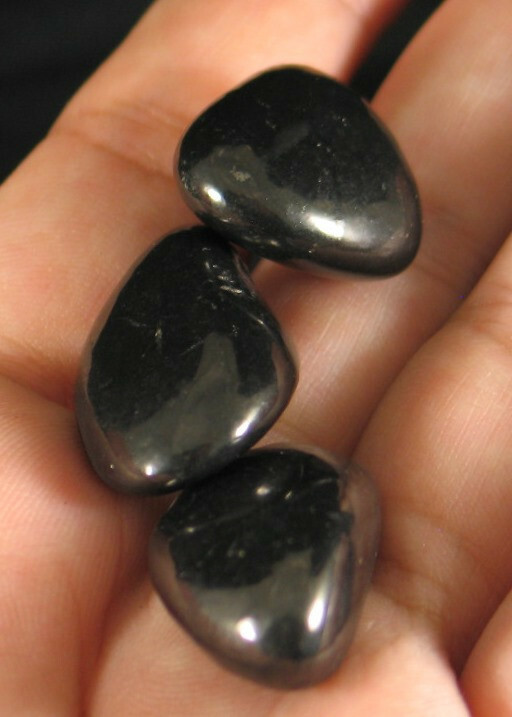 Stones range from 0.5" - 1.2"
Shungite has become one of our go to stones for grounding and protection. This special formation of carbon has amazingly gentle yet firmly grounding energy. It seamlessly harmonizes with your body. We wear shungite during our healing session to prevent us inadvertently picking up an energetic or chemical residues. This is particularly useful when your patients and clients are undergoing intensive treatments such as radiation or chemotherapy. 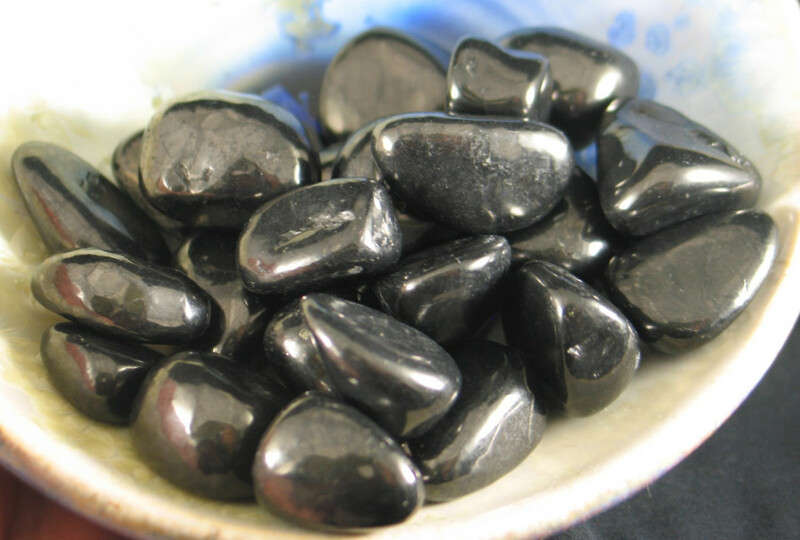 Shungite is one of our new favorite minerals for shielding, purging and protection! Used with Blessings from Maryilyn & Tohmas Twintreess ~ Thank you! Physical, Emotional, Mental Integration: I know that you live in impossible times. So I come to show you your full power and strength. Join with me and we will grow a new world where the technologies will not overshadow the pure bliss of breathing well upon the Earth Mother. I join you with your 100% activated and synergistic brain. I live with my full genius and I create my world accordingly. NOTE: Shungite in the raw form sometimes “sheds” a little of its natural, carbon-black coloring onto whatever touches it. To avoid this, simply oil those items with a good quality organic oil.